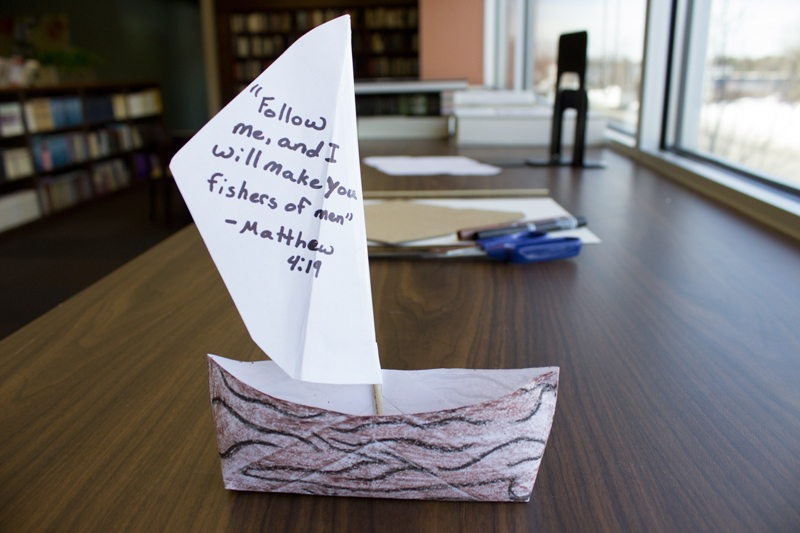 Jesus traveled by boat many times during his ministry around the Sea of Galilee, and three of his greatest miracles (the calming of the storm, walking on water, and the miraculous catch of fish) took place in or around a boat. 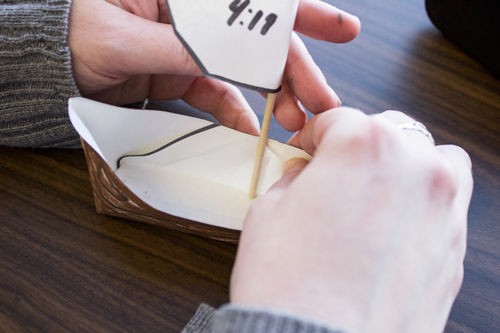 Share stories of Jesus’ preaching and miracles as you make this fun paper fishing boat. 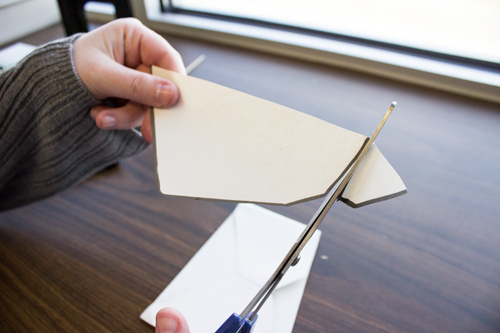 Step 1: Cut the envelope diagonally from the top corner of the flap to just below the overlap (as shown below). 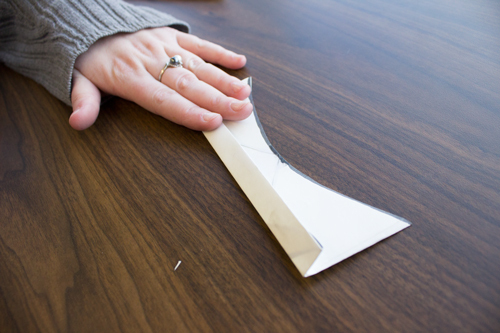 Step 2: Take the top section of the envelope and cut off the overlapping tip at the fold. Step 3: Cut a slight “U” shape at the top of the bottom section. 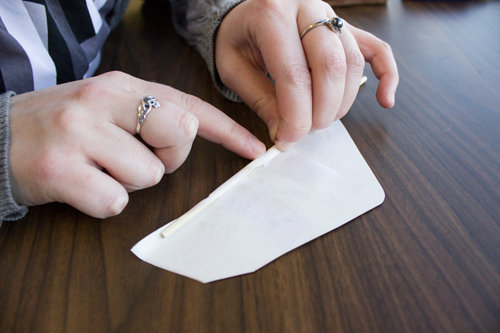 Then fold the bottom half-inch of the envelope up and crease it. Flip the envelope and repeat on the other side. 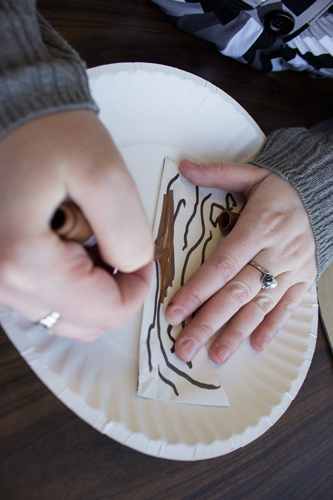 Step 4: Use markers to decorate the bottom section of the envelope as desired. 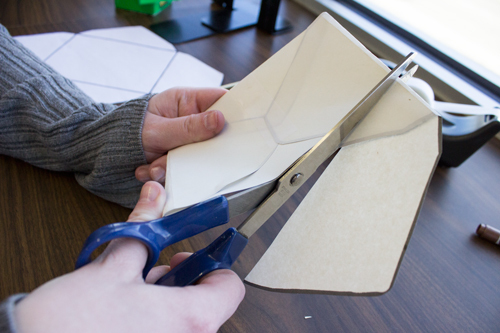 Step 5: Open the envelope and push down to flatten the bottom of the boat. 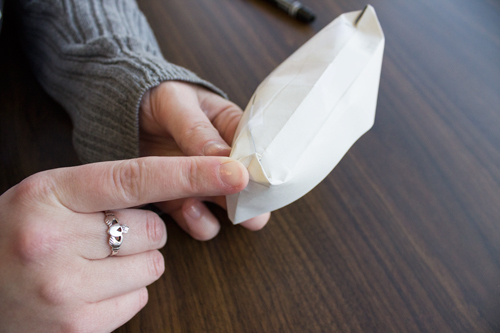 Step 6: Flip the boat over, fold the two pointy ends in, and secure them with tape to the bottom of the boat. 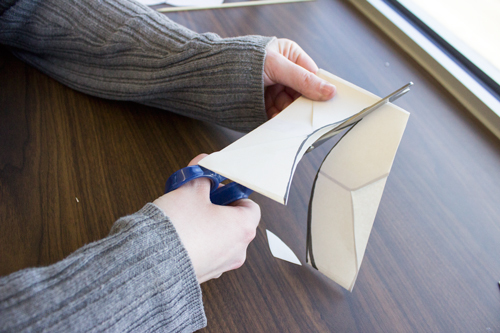 Step 8: Attach the bottom of the skewer to the inside of the boat with tape.